The Honda supply chain companies were among those attending the latest meeting of the Honda Swindon Taskforce, which also brought together the government, civic leaders, local MPs, Honda workers, Unite the Union and sector representatives. As well as hearing views from those in the plant’s supply chain, the Honda Swindon Task Force also discussed the compelling collective case that is being compiled by the task force for why Swindon, and the UK, is the right place to invest in the production of new electric vehicles. 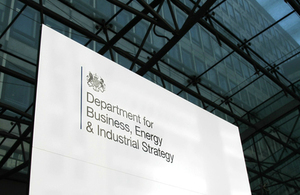 Today’s meeting came as the Business Secretary launched a new £16 million programme to help UK automotive suppliers keep at the cutting edge of their industries, with advice on the training and funding opportunities available, and support to make the most of the latest technologies. The new National Manufacturing Competitiveness Levels programme will offer support to small and medium-sized businesses across the country, starting with those in the Honda supply chain, who sell to the automotive sector. Suppliers will be given advice on how best to evolve their products and processes to meet their customers’ future needs, looking from the shop floor to the boardroom. This could include training for specialist staff, advice on the latest technologies available or help on accessing business loans to help them invest for the future. Businesses supplying Honda UK also had a specialist session with representatives from the Departments for Business, Energy and Industrial Strategy, and for International Trade, about potential opportunities to compete and grow new business both in the UK and internationally. This will be further supported by the government and the Society for Motor Manufacturers (SMMT) by providing supply chain companies with access to Meet the Buyer event. The event is the UK automotive sector’s largest buyer supplier matching event. All of us on the Honda Swindon Taskforce are determined to keep pressing the case for Honda to remain in the UK, while at the same time continuing to promote Swindon globally as a leading region for advanced manufacturers to invest in - with the expert companies in Honda’s supply chain a key part of Swindon’s offer. Today’s meeting was an opportunity for local suppliers to meet task force representatives, as well as take part in a specialist session with my department and the Department for International Trade to identify opportunities to grow and compete here in the UK and overseas. In support of the Honda and UK wide automotive supply chain I’ve launched a new £16 million programme designed to specifically support SME businesses in the automotive supply chain. We design and manufacture world beating components and technology solutions and this new program will ensure our supply chain sector remains at the top of their game, both here in the UK and internationally, by keeping up with the latest technological developments, backed by dedicated support and advice to make the most of our supply chain expertise and specialisms.